The Techniques of Indian Embroidery by Morrell, Anne: B T Batsford Ltd 9780713464108 Hardcover - Pastiche, Inc.
Synopsis: For centuries India has been renowned for the diversity, quality and richness of its embroidered textiles. 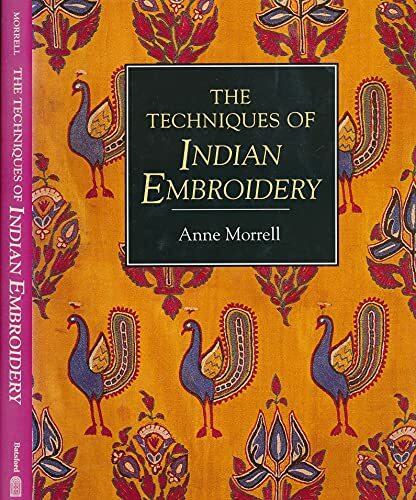 This book explores the traditions and development of Indian embroidery techniques, showing how they can provide inspiration for Western embroiderers today. An introduction to the historical development of Indian textiles, including the influences of local and regional traditions, is followed by chapters exploring individual techniques, such as quilting, counted-thread work, shisha (mirror) work, metal work, beading, applique and patchwork. A useful list of suppliers and embroidery collections to visit completes the book.